I grew up in a town called Ballina, in the north west of Ireland. 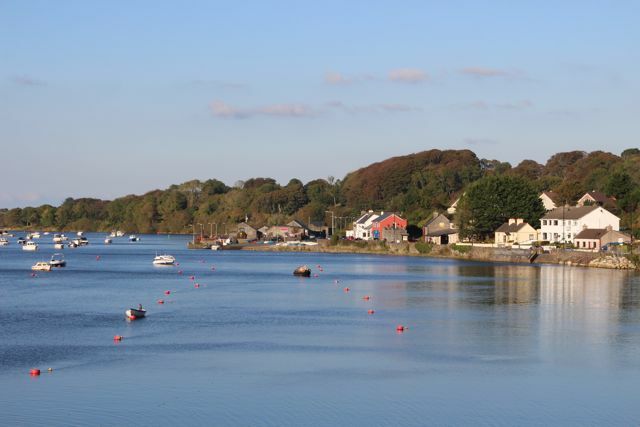 Approximately 10,000 people live here and my family live a few miles outside the town itself near to the Quay Village. So this is where I am at the moment. No more moving around for the next few weeks, no more trains, planes, or packing suitcases. Instead I am staying put and enjoying family time- so far no murders. It means I am spending alot of time in the kitchen cooking and eating……. I tried to bake my first loaf of bread earlier this week. Some refinement is needed but I am getting there. Simple pleasures are often the best, sure beats a day at the office!